Contradictions and contestations with regard to the implementation of religion-in-education policy have become a worldwide phenomenon. An increasing number of costly and protracted court and legislative battles between schools and parents over religion in schools has been reported. In this article, I aim to highlight some of the school management issues surrounding the implementation of religion-in-education policy in some selected South African schools. Based on mediation theory, the study uses individual interviews to gather data from twelve purposively selected school principals to investigate how they implemented the religion-in-education policy in their respective schools. The findings show that despite the implementation challenges of the religion-in-education policy, the majority of the selected school principals displayed the qualities of a transformative mediator. I, therefore, recommend that school leadership programmes for school leaders offer mediation, and transformative mediation in particular, as a leadership and management course. That is, South African universities should consider training school principals on the use of transformative mediation as a strategy they can use to resolve conflicts and handle disputes in schools as it holds potential benefits for fields such as education. Dr. Maitumeleng Nthontho is a lecturer in the Department of Education Management and Policy Studies, Faculty of Education, University of Pretoria. She holds Master’s and Doctoral degrees in Education Management, Law and Policy. Her research interests include Human Rights in Education, School Management and Governance, Policy Studies, and Religious Diversity in Schools. Her fields of expertise are Education Management and Leadership, Educational Policy, Education Law and School Governance. Alston, K. G., Van Staden, J. G., & Pretorius, J. L. (2003). The Constitutional Right to Freedom of Expression: How Enforceable are School Dress Codes? South African Journal of Education, 23(3), 163–169. Babbie, E. (2014). The Basics of Social Research (6th ed.). Belmont, CA: Wadsworth. Bush, R. A. B., & Folger, J. P. (2005). The Promise of Mediation. The Transformative Approach to Conflict. New and Revised Edition. San Francisco, CA: Jossey-Bass. Crouch, M., & McKenzie, H. (2006). The Logic of Small Samples in Interview Based Qualitative Research. Social Science Information, 45(4), 483–499. Day, C. (2005). Principals Who Sustain Success: Making a Difference in Schools in Challenging Circumstances. International Journal of Leadership in Education, 8(4), 273–290. Department of Education. (2003). National Policy on Religion and Education. Pretoria: Government Printer. Department of Education. (2007). Education Laws Amendment Act (Act 31 of 2007). Cape Town. Government Printer. Farrell, H. (2012). The Consequences of the Internet for Politics. Annual Review of Political Science, 15(1), 35–52. Fargher, M., & Dooley, D. (2012). The Adolescent Storm: A Handbook for Parents. Johannesburg: Penguin Books. Fatima, N. (2014). Religious Conflicts in Nigeria and Their Impacts on Social Life. 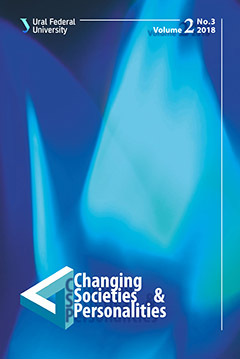 Global Journal of Arts, Humanities and Social Sciences, 2(4), 15–19. Ferguson, R., & Roux, C. (2003). Mediation in the Context of Teaching and Learning about Religion in Tertiary Education. South African Journal of Education, 23(4), 292–296. Frankema, E. P. (2012). The Origins of Formal Education in Sub-Saharan Africa: Was British Rule More Benign. European Review of Economic History, 16, 335–355. Franey, T. (2002). The Smart Story: The Challenge of Leadership in the Urban School. School Leadership & Management, 22(1), 27–39. Grey, D. E. (2014). Doing Research in Real World. London: Sage. Guest, G. (2006). How Many Interviews Are Enough? An Experiment with Data Saturation and Variability. Field Methods, 18(1), 59–82. Hallinger, P. (2010). Making Education Reform Happen: Is there an “Asian” Way? School Leadership and Management, 30(5), 401–418. Harris, A. (2010). Leading System Transformation. School Leadership & Management, 30(3), 197–207. Haydon, G., Browne, G., & Van der Riet, P. (2018). Narrative Inquiry as a Research Methodology Exploring Person Centred Care in Nursing. Collegian, 25(1), 125–129. Joubert, R., & Prinsloo, S. (2009). The Law of Education in South Africa (Second Ed.). Pretoria: Van Schaik. Major, C. H., & Savin-Baden, M. (2010). An Introduction to Qualitative Research Synthesis. New York: Routledge. McMillan, J., & Schumacher, S. (2014). Research in Education: Evidence Based Inquiry (Seventh Ed.). Harlow: Pearson Education. Moloi, K. C. (2005). The School as a Learning Organization: Reconceptualising School Practices in South Africa (Second Ed.). Pretoria, Van Schaik. Mncube, V. S. (2009). Perceptions of the Principal’s Role in Democratic School Governance in South Africa. Journal of Educational Administration and History, 41(1), 29–43. Naidoo, J. P. (2005). Educational Decentralisation and School Governance in South Africa: From Policy to Practice (PhD thesis). Harvard: Harvard Graduate School of Education. Republic of South Africa. (1996a). The Constitution of the Republic of South Africa (Act 108 of 1996). Pretoria: Government Printer. Republic of South Africa. (1996b). South African Schools Act (Act 84 of 1996). Pretoria: Government Printer. Ritchie, J., Lewis, J., & Elam, G. (2003). Designing and Selecting Samples. In J. Ritchie & J. Lewis (Eds. ), Qualitative Research Practice. A Guide for Social Science Students and Researchers (pp. 77–108). Thousand Oaks, CA: Sage. Roux, C. (2005). Religion in Education: Perceptions and Practices. Scriptura, 89, 293–306. Sulaiman, K. O. (2016). Religious Violence in Contemporary Nigeria: Implications and Options for Peace and Stability Order. Journal for the Study of Religion, 29(1), 85–103. Simić, I. (1998). Transformational Leadership – The Key to Successful Management of Transformational Organisational Changes. The scientific journal FACTA UNIVERSITATIS, 1 (60), 49–55. Tam, A. C. F. (2010). Understanding the Leadership Qualities of a Head of Department Coping with Curriculum Changes in a Hong Kong Secondary School. School Leadership & Management, 30(4), 367–386. Van der Walt, J. L. (2011). Religion in Education in South Africa: Was Social Justice Served? South African Journal of Education, 31, 381–393. Xaba, M. I. (2011). The Possible Cause of School Governance Challenges in South Africa. South African Journal of Education, 31(2), 201–211.